I am very impressed with how quickly the Greg Kading/Reggie Wright Jr. camp gets information from within their law enforcement sources. Kading knew about Russell Poole's meeting minutes after it was set up and Reggie Wright Jr. (Remember that Michael Moore tells of hearing “Got-em” come over Reggie Wright Jr.’s radio at the time Tupac and Suge were shot.) released a video on YouTube a few hours after Russell Poole passed with every detail of the meeting and what was talked about inside of Sheriff's Headquarters. August 19, 11:08 P.M. "Murder Rap has obtained exclusive information about Wednesday morning's shocking and untimely death of former LAPD detective Russell Poole, which occurred as he attended a meeting with the LA County Sheriff's Department - a story that we were first to break here on this page. Major news outlets have since reported that the meeting today between Poole and the LASD was regarding a "cold case." However, we can now reveal that we have known for several weeks that this meeting would be regarding the Biggie and Tupac murder investigations, specifically. Poole was trying to impress upon the Sheriff's department that they should either reduce or mitigate Suge Knight's current second-degree murder charges (for the homicide of Terry Carter in Compton earlier this year) in order to persuade Knight to provide information regarding the murders of Tupac and Biggie. Poole was believed to be collaborating with Suge Knight to get him out from under his current criminal complications in exchange for him providing information on the Tupac and Biggie murders." The fact is that the meeting with Russell was set up three weeks ahead of time. The content of what was discussed is highly accurate. That information had to come from within The Sheriff's Department. How does the suspect’s camp get information so quickly from within the department about an investigation that ties directly back to that suspect? I didn't realize that Reggie Wright Sr. had his retirement party on July 18, 2014. I had thought he retired much earlier. All of the people in the Sheriff’s Department were working alongside of Reggie Wright Sr. who was videotaped at the MGM Grand Hotel, the night Tupac Shakur was killed, supervising the interrogation of Orlando Anderson. Orlando Anderson is the person Compton Police offered up as the shooter of Shakur. 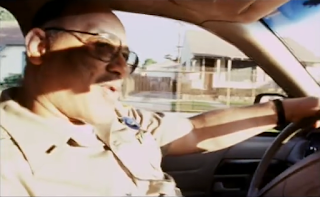 Reggie Wright Sr. was prominent in the Compton Police Investigation of the Shakur murder. Isn't it a severe conflict of interest for Wright Sr. to have participated in the MGM Orlando Anderson scuffle and to have participated in the investigation of the Tupac Murder? Wouldn't it also be a conflict of interest for him to investigate the Tupac murder with his son heading up security for Death Row Records? The 1999 - 100 page Internal Affairs Report of the Compton Police Department corruption details that "implicated as responsible to varying degrees by the investigators were Taylor, Perrodin, Lt. Reginald Wright Sr., Sgt. William Mosley, Sgt. Robert Baker, Sgt. Henry Robinson and Sgt. John Wilkinson." Now I am not surprised that information leaks out of the Sheriff's so quickly as the ties to Reggie Wright Sr. are so fresh. The shooting of Suge Knight at the 1Oak was just a month after the retirement of Wright. Has anyone questioned why two incidents involving attempts on Suge Knight's life both occur where Sheriff's would respond? Is anyone surprised? Biddle handled both crime scenes (Tams and 1Oak) as a severe conflict of interest. There are many ties back to Wright Sr., Wright Jr., and Los Angeles Sheriff’s including the off-duty Sheriff that let the shooters into the 1Oak and dropped them off at the airport. Jim McDonnell must now sweep those leaks out of the department. Tupac Assassination by RJ Bond and Frank Alexander. Star and Shield Volume 41 Issue 5 – July 2014 - Announcement of retirement parties. 1999 REPORT DETAILS CORRUPTION IN COMPTON PD NARCOTICS UNIT from The Compton Bulletin by Allison Jean Eaton. Russell Poole confirmed that this information was true in his telephone call the day before his meeting. 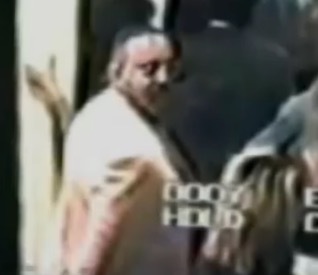 Its crazy how I always told myself that in fact that's Reggie wright sr and now You guys analyzed the mgm footage carefully and realized that it is him. The other black guy who's bald head wearing a white suits walks up to Orlando Anderson then leaves with him. is it keffee d ?